Juan Luna represents the Filipino’s highest achievements in the international art scene during the 19th century. He remains unsurpassed by any Filipino or Asian artist up to the present. 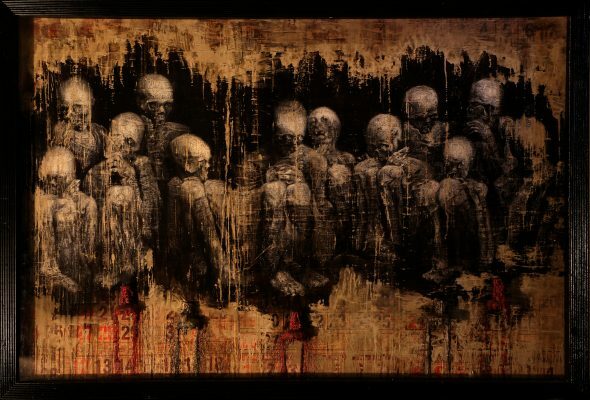 His academic-classical style represents a high point of Western influence in Philippine visual arts. Fernando Amorsolo represents the mastering of the Filipino genre painting, celebrating key features of high and popular culture–beauty, nostalgia, pageantry, the fantasy of how the Philippines was, and the dream of how it should be. 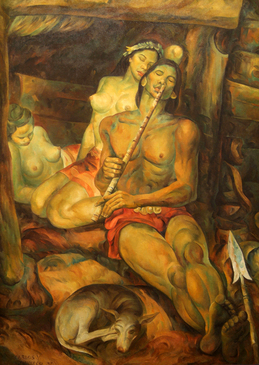 Botong Francisco represents the high point of mural painting in the country, and is often called the greatest muralist and modernist the Philippines has produced. His elegant draftsmanship and flair for sensuous shapes and complex design–coupled with the popularity of his themes–glorify community life and love of country, and vividly record the legendary courage of the ancestors of our race.